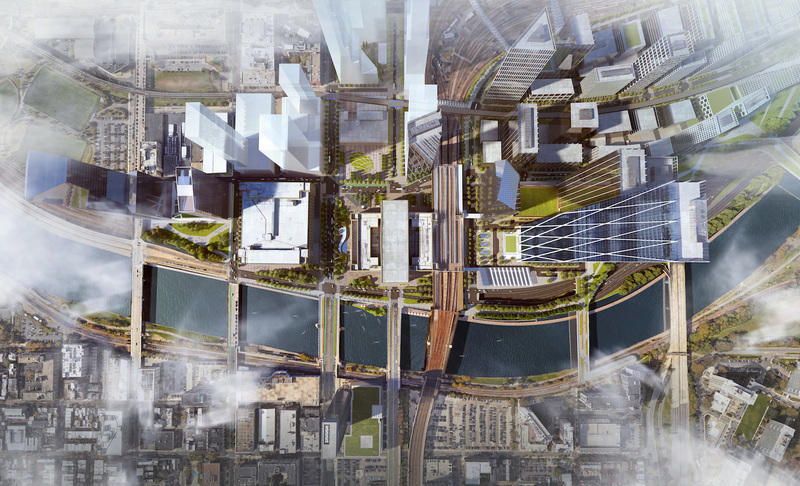 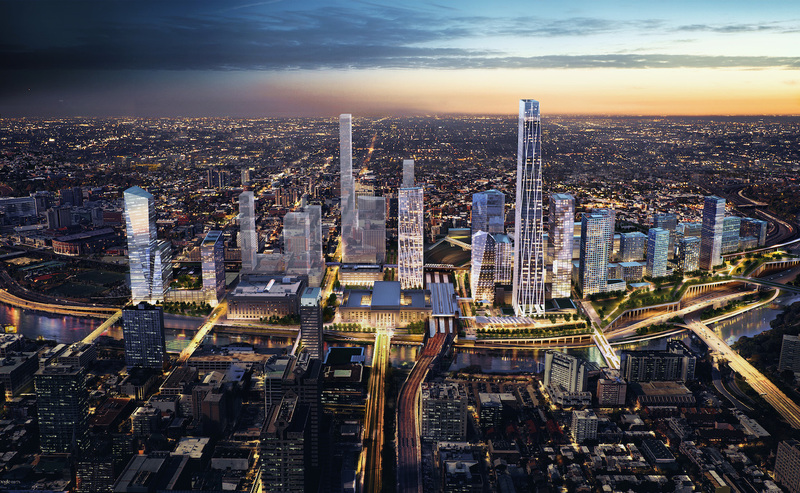 The ambitious plan will be put into place over the course of 35 years, starting with capping of the existing Amtrak rail yard to accommodate a proposed 10 million square feet of development. 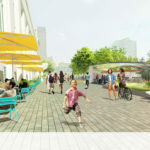 The total plan will consist of 18 million square feet of new development and will include housing for 10,000 residents. 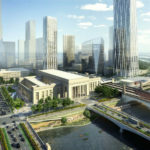 The development also offers 1.2 million square feet of commercial space to an individual corporate or institutional tenant. 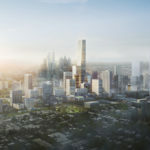 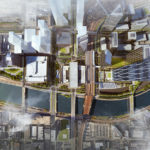 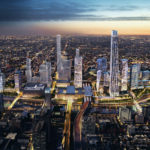 The project is expected to cost $6.5 billion, with $2 billion going to infrastructure investments and the other $4.5 billion coming from developers. 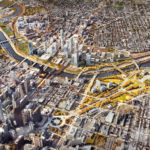 Among the infrastructure improvements is a plan to relocate a ramp for the Schuylkill Expressway in favor of an intercity bus terminal. 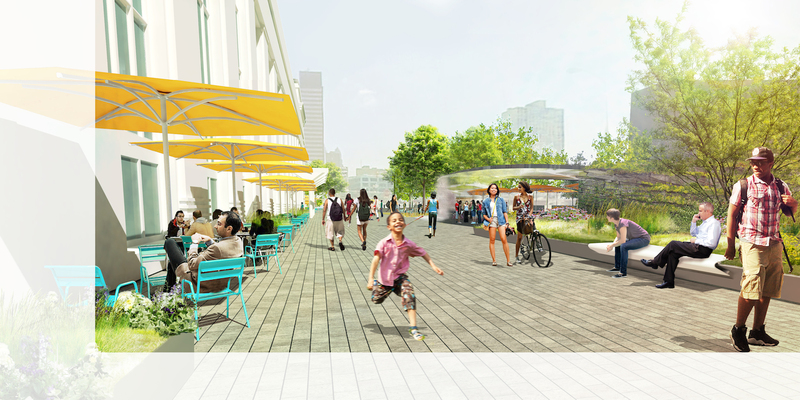 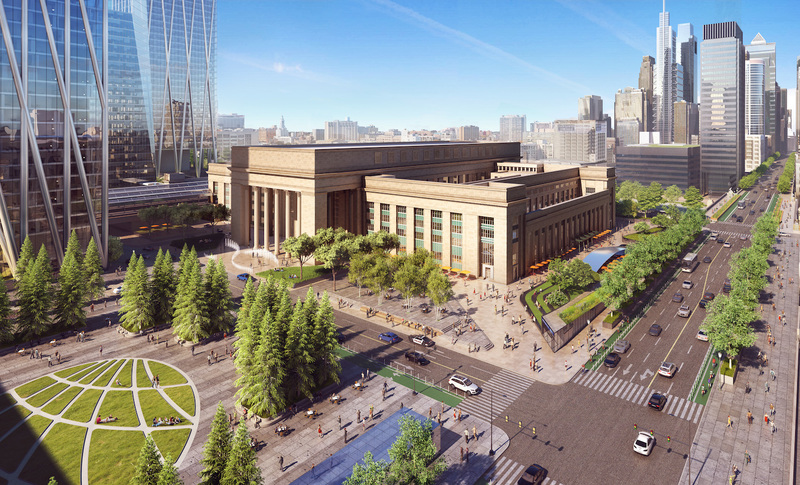 A new pedestrian plaza will surround the existing train station. 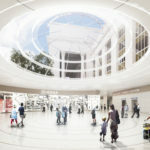 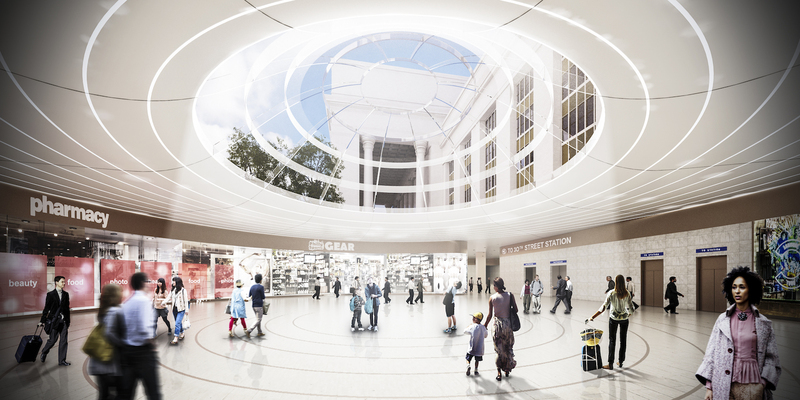 The station itself will also receive a major renovation that will add retail space and a new concourse. 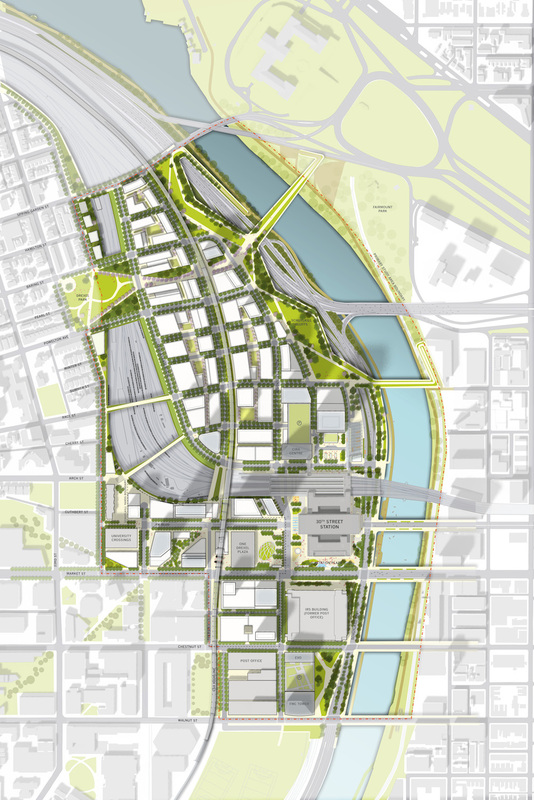 The redevelopment site consists of a total of 175 acres in the University City neighborhood, 88 of which is occupied by the rail yard. 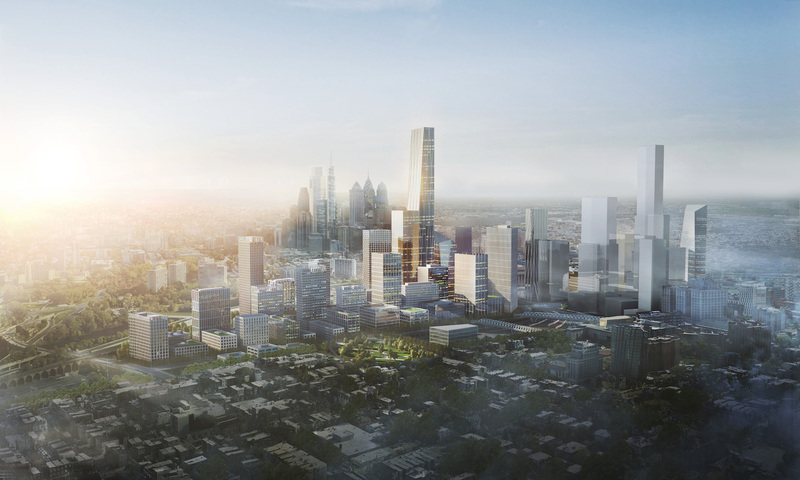 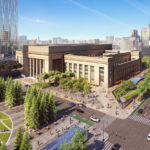 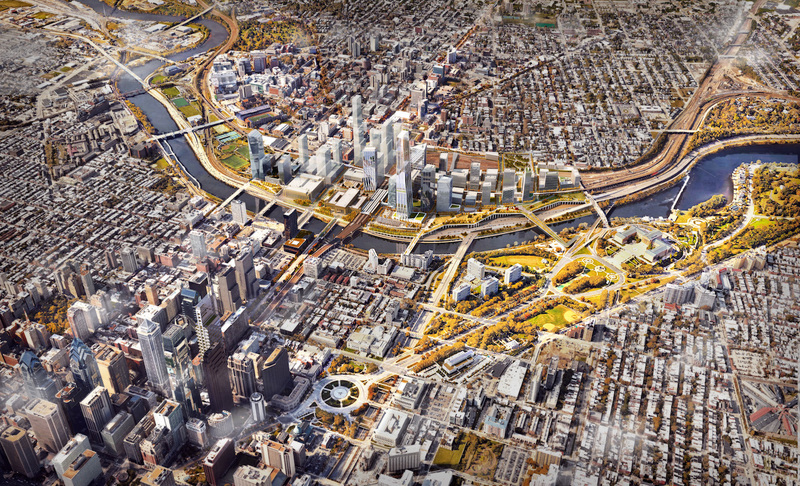 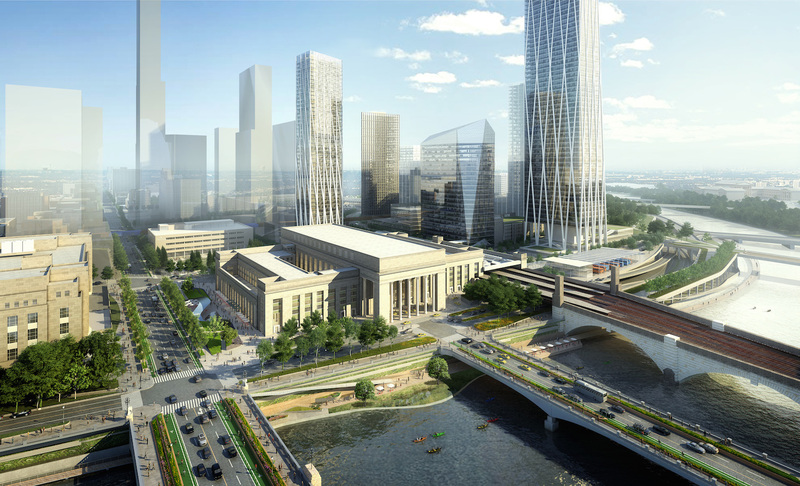 This plan is the culmination of a two-year study of the site, which extends east of Drexel’s campus between Walnut and Spring Garden Streets and northeast from 30th Street Station. 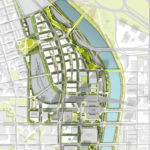 The official blueprint will be released on Thursday morning. 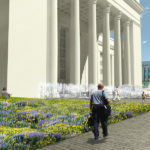 Amtrak’s first steps in executing the plan are expected to be the planning of the pedestrian plaza and receiving permission from PennDOT to relocate the highway ramp.